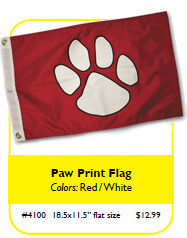 Dog Paw & Bone Themed Flags for your Boat or just for FUN! eye patch and pirate hat. Click the button below to add the Dog Themed Flags for your Boat or ? to your wish list.